A mixing guide with one side displaying shades, tints and primary mixes, while the reverse side displays complementary and analogous harmonies. 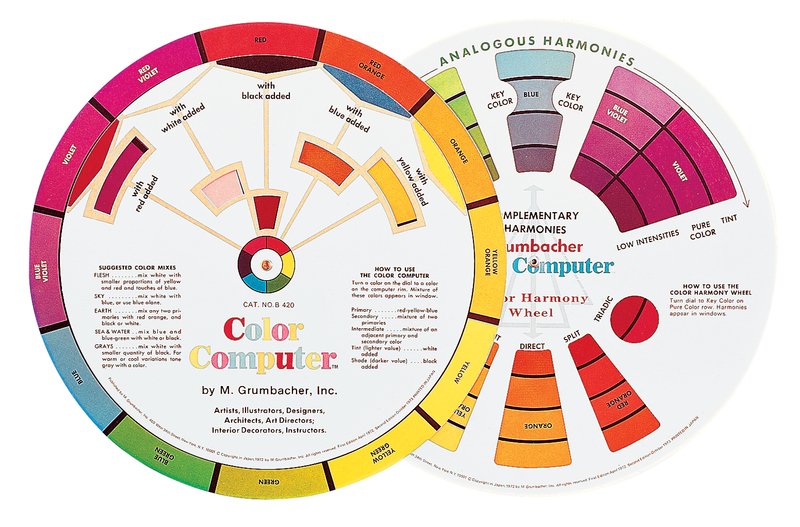 The color key shows pure color, tints, low intensities, triadic, split and direct harmonies allowing artists to determine color schemes and palettes with ease. Packaged in a hanging bag. Made in the USA. This roll up brush tote fits both long and short handle brushes. Tote fits approximately 20 brushes and features a fold over flap to protect bristles as well as an adjustable Velcro closure. 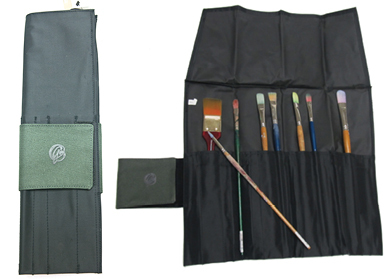 Perfect for plein-air painters, students and anyone who needs to transport their brushes.